Black Labrador Retrievers, or just plain Black Labs, are one of the most commonly owned dogs in the US. Their loyalty and friendly disposition are very appealing, especially to families. These dogs originated from the St. John’s Water Dog of Newfoundland. Over generations of breeding for a smaller stature and shorter fur, the true Labrador Retriever was born in Labrador, Canada. Black Labs are renowned for their patience. They wait for their hunting human in the field, and they wait for the kids’ school bus, too. They’re enormously playful and loyal to boot. Labradors make phenomenal family dogs because of these attributes, but need a little training or their playfulness can take over. Black Labrador Retrievers are also immensely curious, and will investigate when something intrigues them. Their curiosity will often lead to a chase, in the case of squirrels, but they’ll be at a loss once the quarry is captured. After all, they’re retrievers, not hunters – they have a very gentle muzzle designed for retrieval. These dogs are highly adaptable. Their natural urge to dig and bark once agitated can be quelled easily with a little training and some exercise. Black Labs love attention, but they don’t need your focus every minute of every day. They’re perfectly happy standing guard in a corner or sniffing out clues in another room. These dogs will happily jump about in a room of kids and also relax on the couch for some belly rubs with just you. Due to their higher energy level, they tend to be better suited for larger homes, preferably with a fenced-in yard where they can run freely. But, as long as they get enough exercise, attention, and mental stimulation, they can adapt to apartment living. They do well in just about any climate, but are sensitive to extreme heat or cold like many dog breeds. Generally speaking, Black Labs are healthy dogs. They tend to overeat, so you do have to be careful about over-feeding them, especially as they get older or are not as active. Without sufficient exercise, they can become overweight. They can develop eye disorders, like cataracts, and joint problems, like hip dysplasia, but as long as they are attending veterinarian visits in a timely manner, will stay perfectly healthy. Labradors are known for their intelligence, adaptability, and independence. They make excellent dogs for beginners because they are highly trainable and eager to please their owners. They require minimal training to control digging and barking, but, other than that, are ready to go! If you go the extra mile with training, your Lab can be taught life-saving techniques for emergencies as well. For example, with little training, they can retrieve people from water and will cover them in blankets from the cold. In general, Black Labs are incredible companions and useful to have around. Black Labs have very short, water-resistant fur that is set in two layers. This kind of dense, double coat protects them from the cold and makes swimming in water all year-round a cinch for these dogs. They shed more heavily twice a year as the seasons change and will shed slightly throughout. Their fur should be washed down every so often, especially if they’re avid swimmers. Giving them a good brush daily or once a week should take care of their coats just fine. 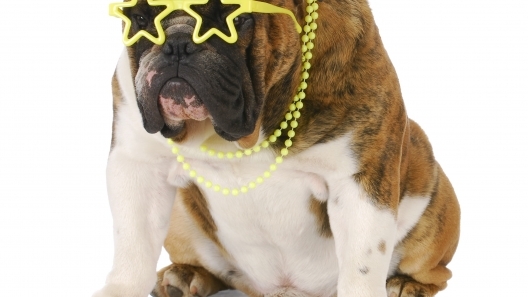 Make sure to regularly check your dog’s ears to make sure he’s not having issues with dirt or wax buildup. A monthly nail trim along with brushing teeth weekly will help your Lab stay healthy. Labradors tend to be very active. 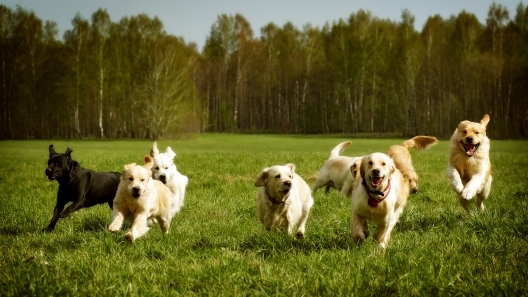 They were originally bred to be working or hunting dogs, so they crave exercise. Regular walks and runs, a good hike, going swimming, or a visit to the dog park are all good ways to soothe a Black Lab’s need for speed. Labrador Retrievers are classified as medium to large dogs. They reach an average height of 23 inches, often ranging between 20 to 25 inches at the withers across the breed. An average healthy weight is generally 75 pounds, but they can range between 50 and 90 pounds depending on gender and parentage. Labs generally live from 10 to 14 years. A Black Labrador Retriever named “Blind of Arden” was the first dog to appear on the cover of Life magazine. It was the December issue of 1938. 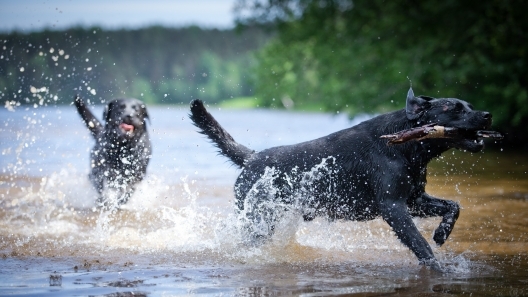 Some dog breeds absolutely love the water, while others tend not to be big fans. These are a few dog breeds that tend to love water. One of YouTube’s biggest draws is, of course, its vast wealth of cute animal videos. These three famous YouTube dogs have followers all across social media. Everyone loves the Black Labrador Retriever! This loyal, intelligent gundog is classified as a Sporting Class dog. While this dog has a thirst to retrieve just about anything, the Labrador is just as well suited to be a great family pet. Labs are known to be children's personal jungle gym, and will never tire of the attention they get. This breed of dog was first recognized by the AKC in 1917, and remains one of the most popular breeds in the world.